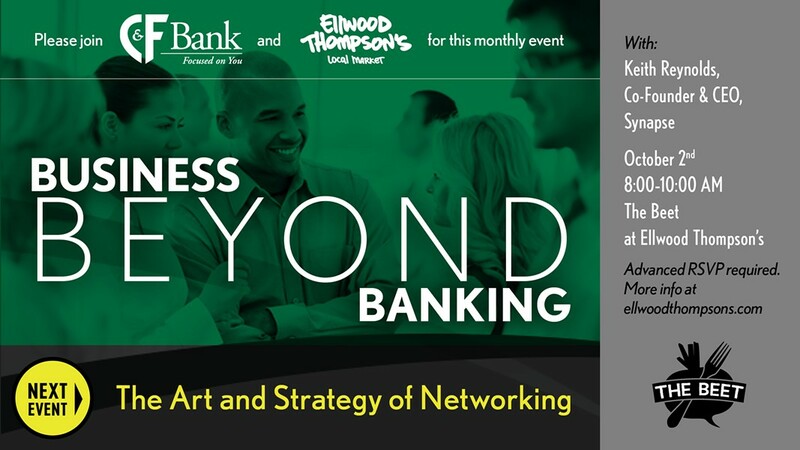 Business Beyond Banking: The Art and Strategy of Networking | Ellwood Thompson's Natural Market | Happenings | Style Weekly - Richmond, VA local news, arts, and events. Join Keith Reynolds, co-Founder and chief executive of Synapse, and learn the art of networking. Reynolds will go over ways to make meaningful relationships while implementing your own personal networking strategy.